Research the all new 2018 Audi TT Coupe to make an informed buying decision. 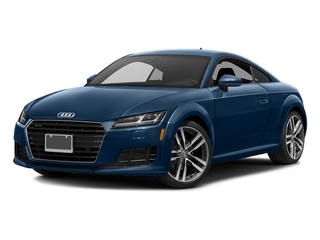 View 2018 Audi TT Coupe retail pricing, rebates & incentives, features , and more. 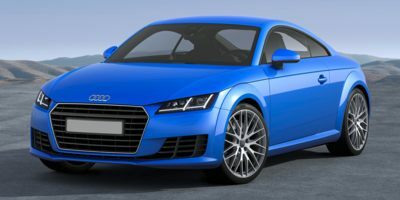 Whether you're in the market to buy a new 2018 Audi TT Coupe and want a quote from a local Audi dealer, or you're just researching this car, we have all the information that you need, including rebates, incentives, features, technical specifications, safety features and more..
Volkswagen Group of America, Inc. (Volkswagen) is recalling certain 2018 Audi TT Roadster, TT Coupe, A3 Sedan and A3 Cabriolet vehicles. The fuel hose quick connector may detach from the fuel supply line in the engine bay, resulting in a fuel leak. A fuel leak in the engine compartment can increase the risk of a fire. Volkswagen will notify owners, and dealers will secure the fuel line connection, as necessary, free of charge. The recall is expected to begin December 20, 2018. Owners may contact Audi customer service at 1-800-253-2834. Volkswagen's number for this recall is 20BK.